Have you ever imagined how your world would have been without planning? It would definitely have been hassled had you not planned things in accordance. Planning constitutes a very important role in one’s life. And when it comes to career planning, it plays the most important role as it defines your goals, aims and objectives. Make career planning an annual event: Career Planning should come up as an annual event in your life. This step will give you more security while choosing career of your choice. It will also remove confusions and help you take final decisions with confidence. 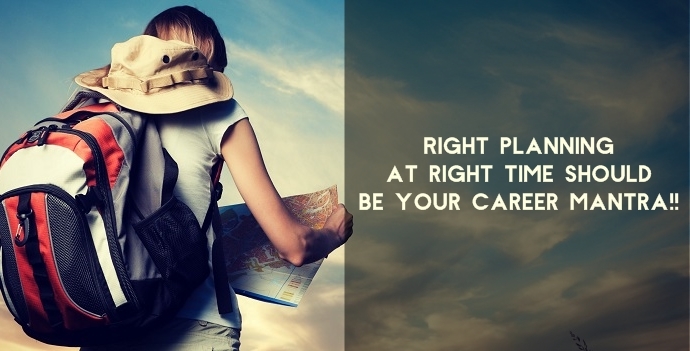 Map your path: Spend time on mapping out your job and career path. Then take out time to think on your course. Also think if you are happy with your path? Filter out your likes and dislikes: Take out time to think on what you want from your work. Draw a list with two columns of major likes and dislikes. Then examine it. If your job falls in the like column, then you are on the right path; but, if your job activities exist in the dislike column, it’s the time to search for new jobs. Study your hobbies: Incorporating your hobbies in your profession also signifies a major step in career planning. Many a times, these hobbies and leisure time help a person in giving an insight into future career paths. Look beyond your current job: Don’t get so wrapped up in your job titles that you don’t see any other career possibilities for yourselves. Categorise yourself in terms of skill which you possess so that you can set your focus on other job titles.